Makkal Needhi Maiam leader Kamal Haasan inaugurated the 13th edition of Instincts 2018, a three-day cultural festival, at SSN College of Engineering Wednesday. 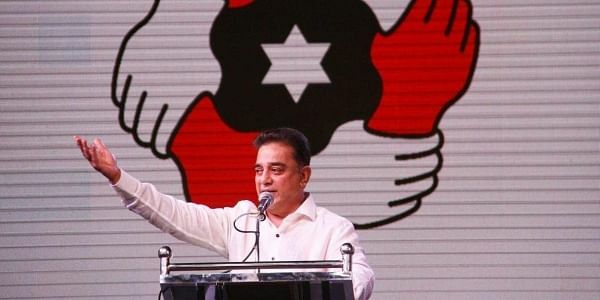 His views were in total contrast to Rajinikanth’s, who had recently asked students to “just vote, but not interfere or indulge in politics.”Kamal recalled how he had once thought he could just remain an artiste. “My generation failed... which is why we’re in this situation now. I had assumed politicians would take care of politics then. But they didn’t. So, here I am, being the change.”Also, he insisted that students vote without fail. “It doesn’t matter whether you support me or not. But Makkal Needhi Maiam is looking to create opportunities for the youth. Bring your ideas to our team. We’ll follow you,” he added. When asked about his ideology of centrism, he said, “You’re the centre of the universe. Sometimes, before taking sides, you need to be in the centre and analyse. It requires a lot of honesty and effort. I wish to die in your service, not as an artist.”Kamal lauded the SSN for giving an equal importance to culture and arts along with academics for the holistic development of its students.Kala Vijayakumar, president (SSN Institutions), S Salivahanan, principal, and Isari K Ganesh, guest of honour, were all present at the event.